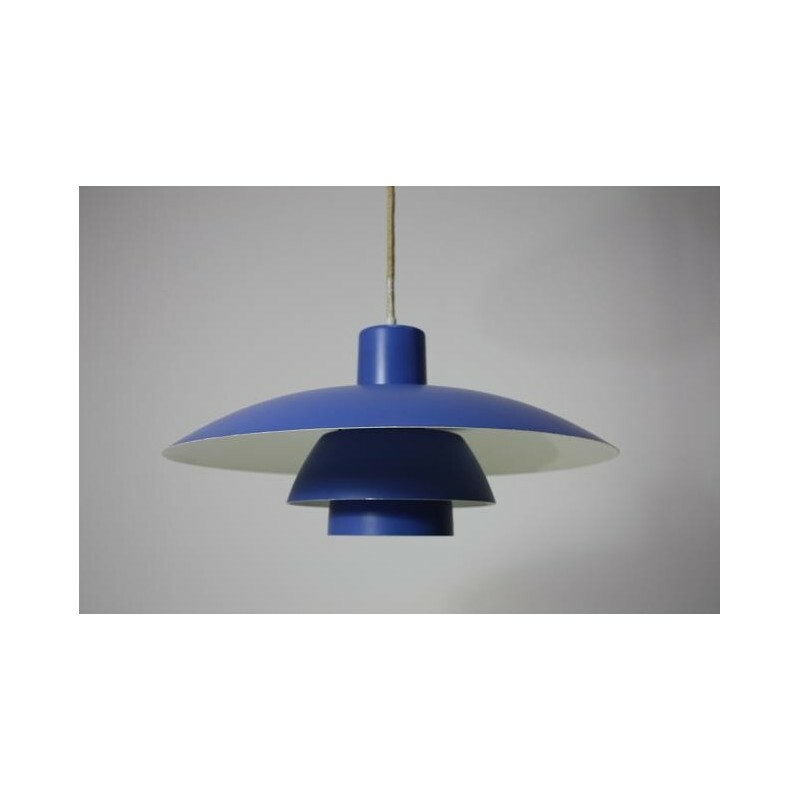 Vintage PH 4/3 lamp designed by the Dane Poul Henningsen in 1958. 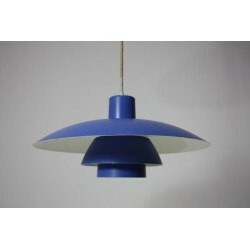 This lamp is an early edition, the color is like the blue, the inside is white, purple and red. The lamp is designed so that it does not blinded how the position is. The lamp is in a good vintage.